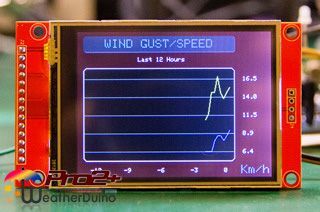 The WeatherDuino Pro2 emulates a Davis VP weather station and is fully compatible with Cumulus 1, CumulusMX or any other software that is compatible to a Davis Vantage Pro weather station. 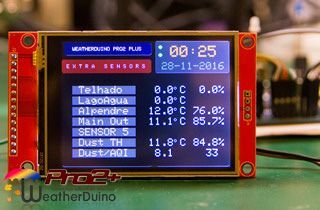 The WeatherDuino Pro2 system is developed with flexibility in mind. It can use a wide range of sensors and measuring instruments, making of it an universal system. From low cost to high end weather instruments, you are free to decide, what instruments and brands you want to use, and the ones that most fit your requirements or budget. Here is a list of the currently supported weather instruments. 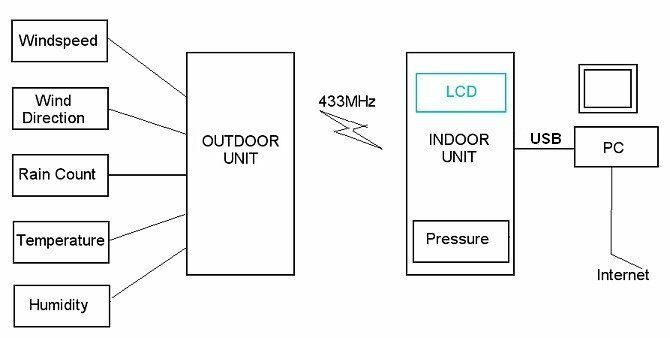 The minimal system consists of a TX and a RX unit, operating at a frequency of 433Mhz (315Mhz optionally). 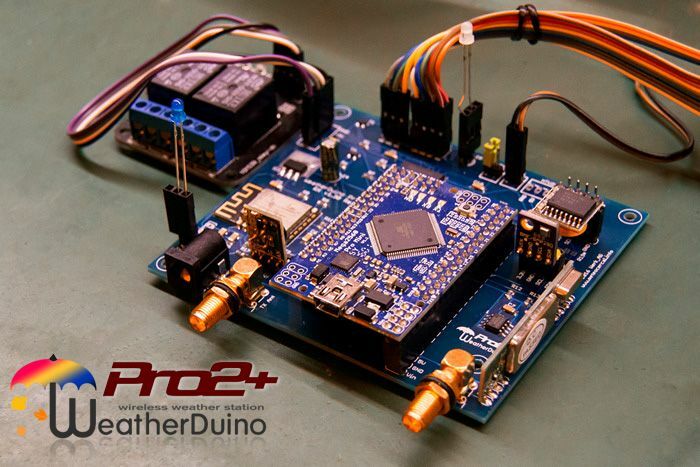 Just one WeatherDuino Pro2 TX unit be enough to handle all the comums sensors of a weather station, however the system can handle up to three (four with the WeatherDuino Pro2 PLUS) TX units, allowing multi-positioning for the sensors. Ex: one TX unit for roof level sensors (wind speed and direction), another TX unit for ground level sensors (Temp / Hum, Rain). TX Units are powered from any 12V power supply (consumption is around 100mA). 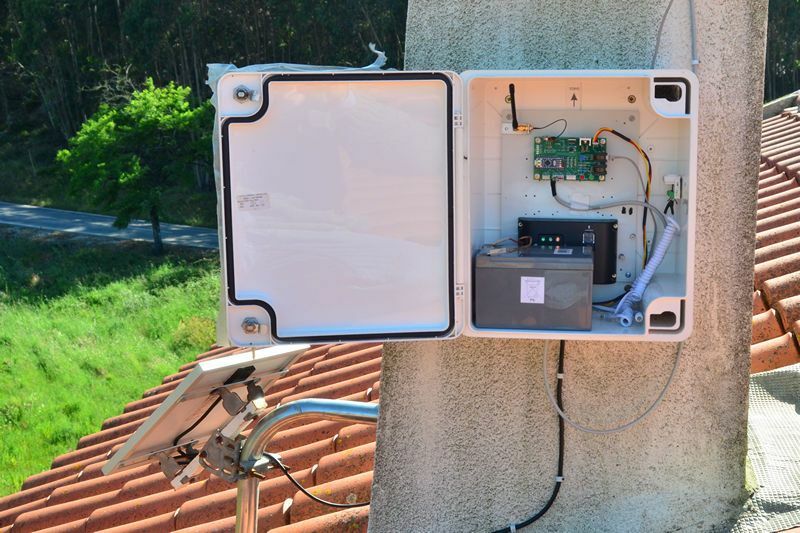 The photo below shows an example of a TX Unit powered from solar energy. 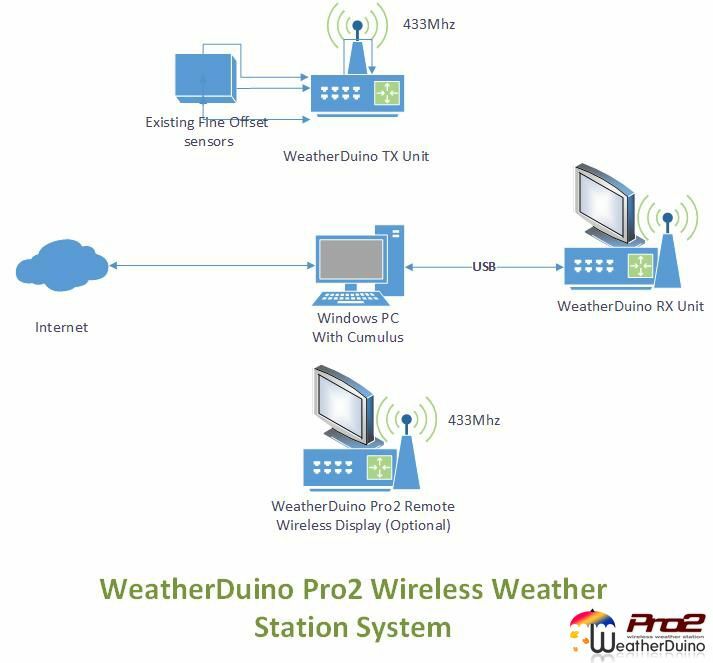 At home, just one WeatherDuino Pro2 RX unit, receives all data and sends it to Cumulus or any other weather software which works with a Davis VP. 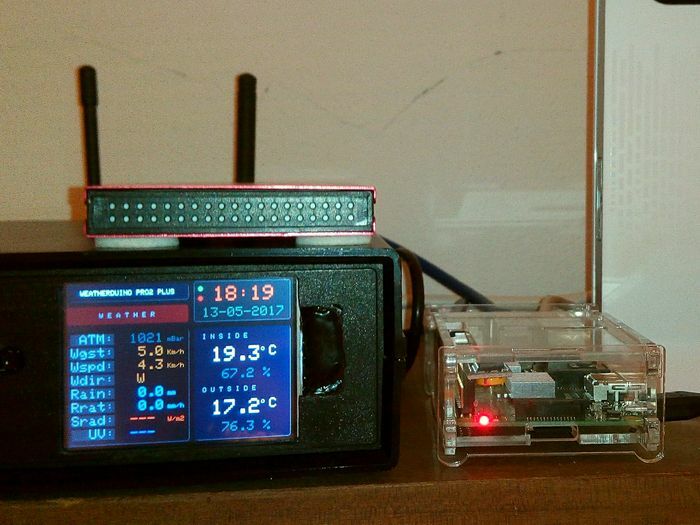 (The WeatherDuino Pro2 PLUS system emulates a Davis Vantage Pro). The Wireless Display units are optional, but a very useful part of the system. Watch your weather data, anywhere in the house. You can have as many as you wish. This video is from the an WiFi Wireless Display unit running an old software version. Current version its even more powerful. This project in constant development, is in use at MeteoCercal since 2013, and by many other weather enthusiasts, a little all over the world. See the map here. 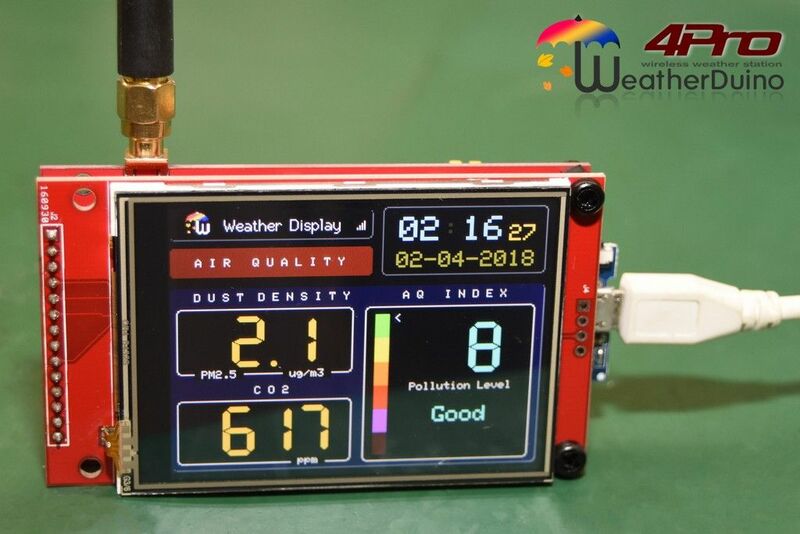 An WeatherDuino Pro2 PLUS weather station is very easy to build, however building it its not like assembling an electronic kit, also it is not a kind of plug-and-play device. Definitely you will need some minimal knowledge of electronics, Arduino environment, and experience in welding of electronic parts. Note: Info on this post may change from time to time, due to further developments and improvements. Our developer /tester uncle_bob made this excellent diagram of the WeatherDuino Pro 2 system. Current time: 26-04-2019, 03:21 Powered By MyBB, © 2002-2019 MyBB Group.